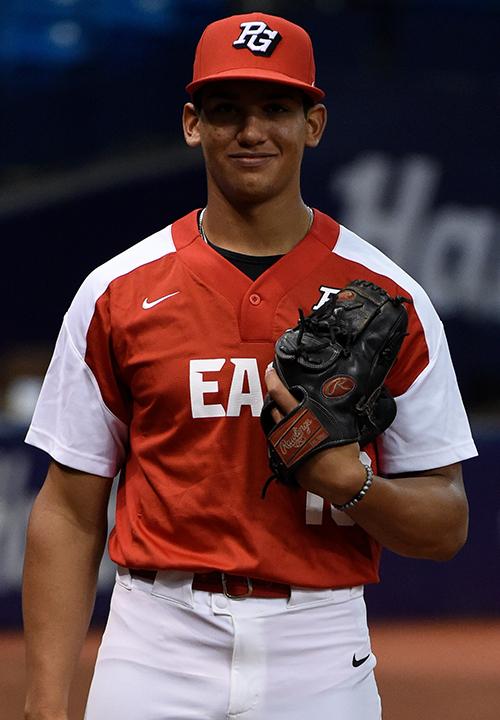 Daniel Espino is a 2019 RHP with a 6-3 200 lb. frame from Statesboro, GA who attends Georgia Premier Academy. Athletic build with a very strong lower half. High flexible leg raise, gets his strong hips turned well, very long arm action in back and shows the ball to the hitter, extended 3/4's arm slot. Fastball topped out at 98 mph, comes in hot and hard, works the top side of his velocity range the majority of the time, life and fastball command best at his highest release points, has consistently thrown this hard in numerous events thus far this summer. Throws both a slider and a curveball, slider is a much better pitch right now with good tightness and 2-plane bite, curveball tends to be too soft in comparison to his fastball with a slower arm at release. Flashed a firm change up that should continue to develop. Elite level arm strength, a plus second pitch in his slider and has always thrown strikes. Panamanian native who has been in the United States for two years. 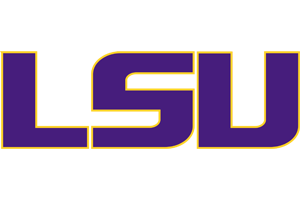 Verbal commitment to Louisiana State. Selected to play in the Perfect Game All-American Classic.